The Akshayam Inter School Children Chess Championship 2017 was organised on 25th and 26th June 2017 at Akshayam’s Christianbasti Centre. Altogether 65 students from different partner schools of Assam Chess Club which is an unit of Akshayam participated in this two day event. Matches were held in 4 categories - class Nursery to class 1, class 2 to class 3, class 4 to class 6, class 7 to 9 respectively. 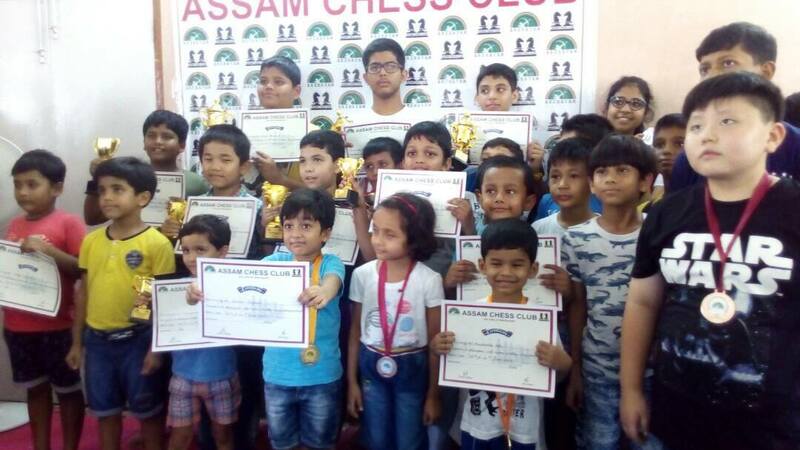 The tournament was organised to provide an platform to the upcoming amateur chess players of the city and also to mark the completion of 11 years of Assam Chess Club, the chess promotion unit of Akshayam.